News - Disinfectant VS. Sanitiser: Which Is Best For You Cleaning Needs? 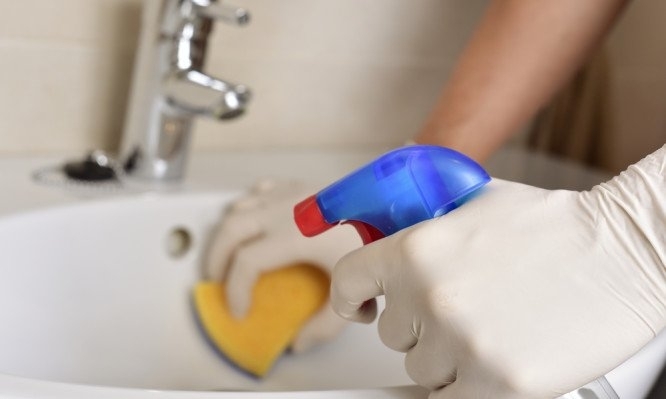 Disinfectant VS. Sanitiser: Which Is Best For You Cleaning Needs? Choosing the right cleaning products for the right surface or spill can be hard work. You might not know exactly what the cleaning product does which means you could end up using the wrong product without even realising. Disinfectant: What Is It And What Is It Used For? Disinfectants are used to destroy fungi and bacteria. They stop the growth of micro-organisms, fungi, bacteria and viruses which is why most brands can claim to kill 99.9% of bacteria on the surface you are cleaning. This chemical is designed and used to destroy bacteria which is why it is so powerful and harmful. It is ideal for tackling kitchen surfaces that have been exposed to raw meat, fish, poultry and eggs. This is important in kitchen spaces or for food preparation surfaces that come into regular contact with harmful bacteria. You can purchase disinfectant in many forms including disinfectant sprays, wipes and industrial sized quantities to make sure that you have the right cleaning products for you and your business. Sanitiser: What Is It And What Is It Used For? The reason that sanitisers are used across many industries is because of their ability to slow down the growth of bacteria, clean surfaces and make them more hygienic. It is a product most commonly used in locations that haven’t been exposed to harmful chemicals. Desks, meeting room tables, place mats, food trays and areas that haven’t been exposed to harmful chemicals or bacteria’s. This means that they offer an alternative to disinfectants as a chemical that can come into human contact and therefore are safer for food preparation. Sanitisers come in many forms but the most common is sprays and alcohol based hand sanitisers like the GOJO Purell rangel which is commonly used in entrances to hospitals as a way of reducing bacteria coming into and leaving the ward. Whichever surface you need to clean, please speak with your System Hygiene representative or call us on 01282 777999 for great advice or to arrange a free cleaning review.